The journey begins as you approach the top of the mountain. Then the private driveway leads you down to this hidden gem of an estate. 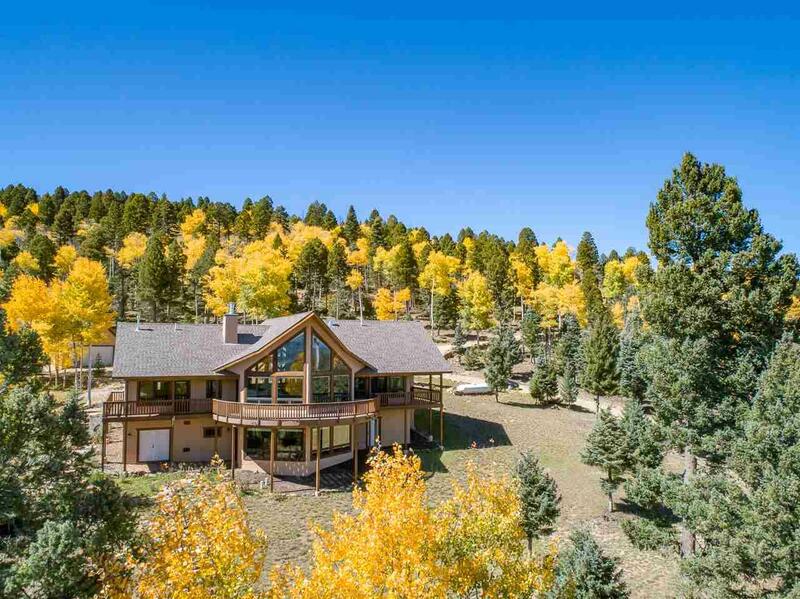 Over 43 picturesque acres with only wildlife as your neighbor and your views will always be protected. And what a view it is! 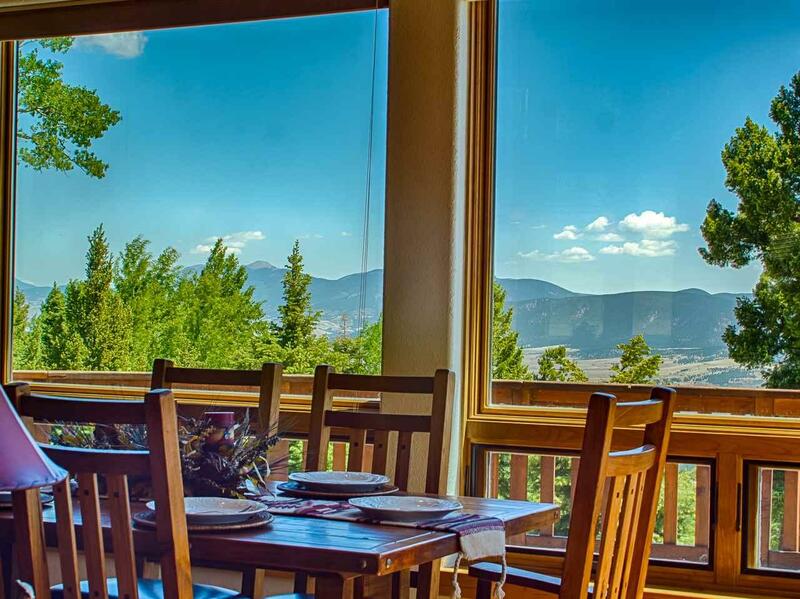 By far the best view in Angel Fire with views that include Osa Mountain to the south, Monte Verde Lake to the east, and the Sangre de Cristo Mountains to the north spanning all the way to Colorado. 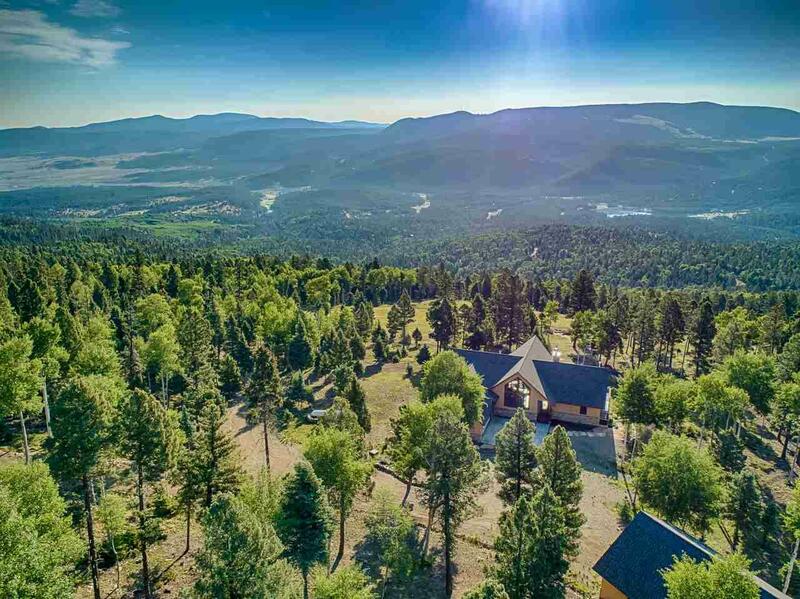 And these views can be enjoyed from every room in the house and multiple outdoor living spaces including, two monolithic flagstone tables and a fire-pit that sits in a sprawling meadow thats large enough for snowmobiles in the winter and ATV fun in the summer! Additionally, the home has a large wrap around deck and 2 covered decks off of the first floor bedrooms. 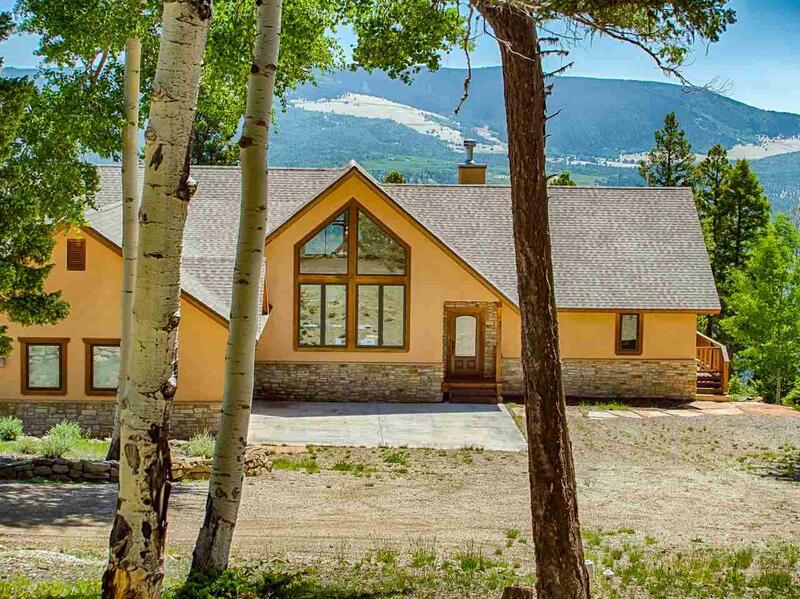 Inside, youll find an open and livable great room with hardwood flooring, vaulted tongue and groove ceilings, fireplace and again, those big mountain views! The kitchen is sure to impress with granite countertops, StarMark rustic hickory cabinets, and SubZero & Wolf appliances. The master suite is in the north wing of the first floor with large windows, fireplace, and an ensuite bath with dual sinks, tile shower and a jetted tub. On the southern wing youll find the guest suite with an ensuite bath. The walkout lower level features another full bath and a large room thats a great second living space or a guest suite with its mini-kitchen. Finally, the home has an attached 2 car garage and a detached 1,350 sq ft 4 car tandem heated garage and workshop. A truly impressive property that needs to be toured!